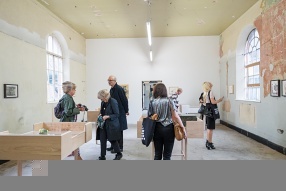 Increased numbers, more diverse and younger – new findings on the social, cultural and economic impact of Liverpool Biennial 2018 have been published. 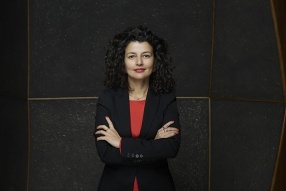 The Trustees of Liverpool Biennial have announced the appointment of Fatos Üstek as the new Director of Liverpool Biennial. She will take up her position in May 2019. Liverpool Biennial is bringing works by leading international artists presented at the 2018 festival to spaces across Northern England in 2019. 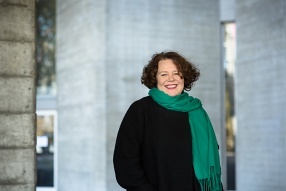 After seven years at the helm of the UK biennial of contemporary art, Sally Tallant takes up new role at Queens Museum. 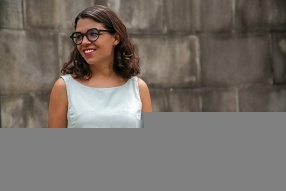 Manuela Moscoso has been announced as Curator for Liverpool Biennial 2020, which will take place 11 July – 25 October 2020. 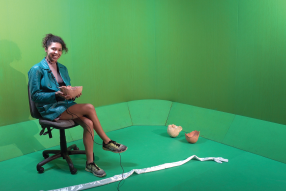 The new project will develop sustainable models of practice, curatorial development and research in the biennial field between 2018 and 2021. Celebrating 20 years of the Biennial, the Fellowship has been created to recognise and support the work of emerging artists. 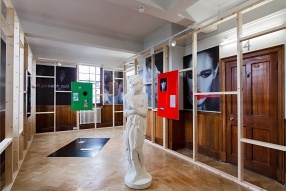 The largest festival of contemporary visual art in the UK opens to the public, marking its 20th anniversary with exhibitions, performances, film screenings, family events and talks across the city. 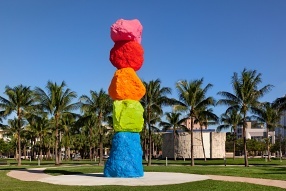 Liverpool Biennial and Tate Liverpool are delighted to announce a new joint project with internationally acclaimed artist Ugo Rondinone – his first public artwork in the UK – called Liverpool Mountain. 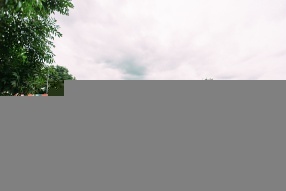 The List traces information relating to the deaths of 34,361 refugees and migrants who have lost their lives within, or on the borders of Europe since 1993. 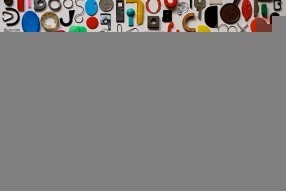 Artists based in the UK and Ukraine are invited to apply for the 2018 iteration of the British Council in Ukraine and Liverpool Biennial's joint residency programme. 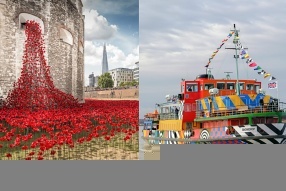 Liverpool Biennial and its partners are delighted to be the recipients of Arts Council England’s Strategic Touring fund for 2018-20. The artist list for the 10th edition of Liverpool Biennial, Beautiful world, where are you?, has been revealed. 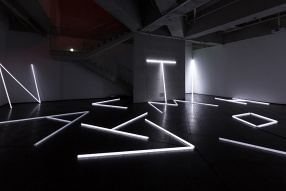 Eight artists from Ukraine and the UK have been selected to undertake residencies with some of the two countries' leading visual art institutions. 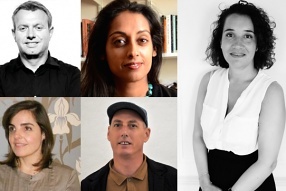 May Calil, Chris Evans, Jonathan Falkingham, Sandeep Parmar and Anna Valle join the Liverpool Biennial Board of Trustees. 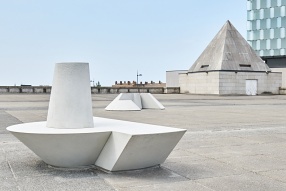 Artists based in the UK and Ukraine are invited to apply for the second iteration of the British Council in Ukraine and Liverpool Biennial's joint residency programme. 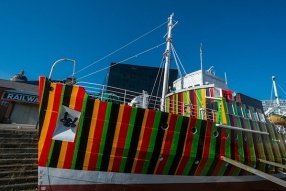 The ferry’s extension as an artwork until 2019 will be marked with a special event with the artist at Museum of Liverpool on Sunday 23 April. 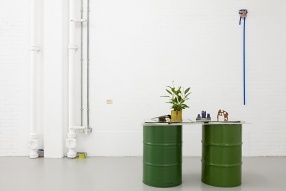 The 10th edition of the UK biennial of contemporary art will be titled Beautiful world, where are you? and will take place from 14 July – 28 October 2018. 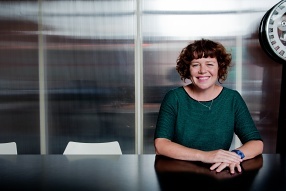 It will be curated by Kitty Scott with Sally Tallant and the Biennial team. 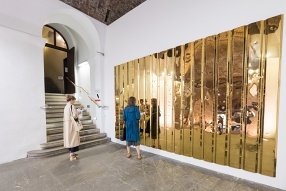 An independent report has identified the wide-reaching impact of Liverpool Biennial, assessing the contemporary art festival’s impact on visitors, artists, the city and the arts sector. 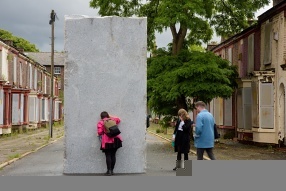 Liverpool Biennial 2016 commission, Momentary Monument – The Stone by Italian artist Lara Favaretto, has raised £1,224 for local charity Asylum Link Merseyside. Liverpool Biennial is thrilled to bring its Limited Editions to Buy Art Fair in Manchester between 22-25 September and SUNDAY art fair in London between 6-9 October. 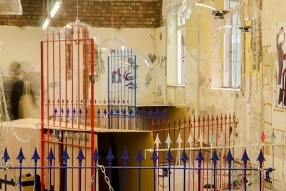 Liverpool Biennial, in partnership with New York based Independent Curators International (ICI) and CACTUS, today announced the artist and curator pairings for the Liverpool Biennial Associate Artists Programme, a major new initiative that aims to support artists based in the North of England to develop their careers internationally. 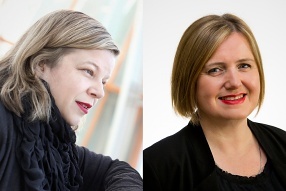 The British Council and Liverpool Biennial are delighted to announce the four selected Ukraine-based artists which will take part in an 8-week residency programme in Liverpool. 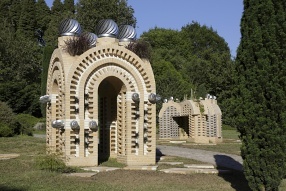 The artists have been selected from over 150 applications from across Ukraine. 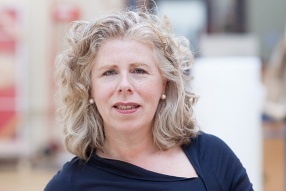 Liverpool Biennial, in partnership with Independent Curators International (ICI) and CACTUS, today announced a major new initiative, which aims to support artists based in the North of England to develop their careers internationally. 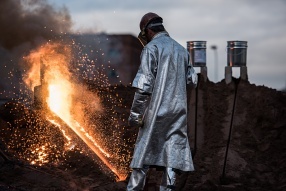 British Council Ukraine and Liverpool Biennial are delighted to launch their new artistic residency programme, connecting artists from Ukraine and Liverpool. This first call is for Ukraine-based artists looking to spend up to 8 weeks in a Liverpool-based residency curated by the Biennial team. 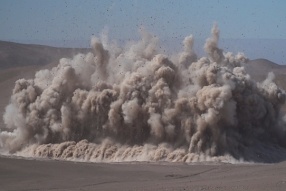 Liverpool Biennial has announced the participation of 40 international artists in the 2016 Biennial festival of contemporary art, running from 9 July until 16 October. 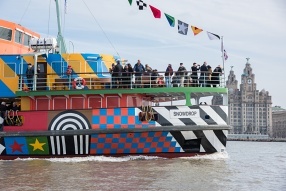 Sir Peter Blake's dazzle ferry Everybody Razzle Dazzle is part of a special new trail created to highlight Liverpool's links with the First World War. The trail coincides with the arrival of the iconic Poppies: Weeping Window art installation at Liverpool's St George's Hall. 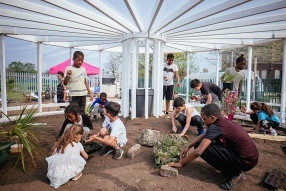 This summer, Liverpool Biennial is hosting a workshop for the Serpentine Galleries' Build Your Own Pavilion: Young Architects competition, to celebrate the 15 year of Serpentine Pavilions and inspire the next generation of architects. 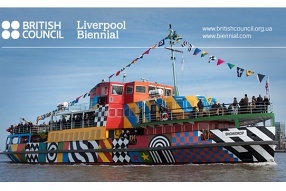 Over 16 weeks, Liverpool Biennial 2014 attracted 877,000 visits and generated £20.7 million of economic impact, making it the most visited edition since starting in 1999. 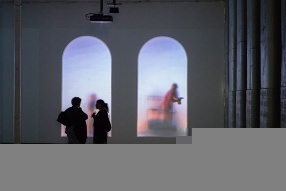 The next Biennial is due to take place from 9 July until 16 October 2016. 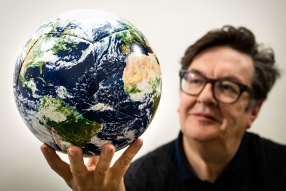 Liverpool Biennial is thrilled to announce it has joined Plus Tate, the contemporary visual arts network, together with 15 more organisations. 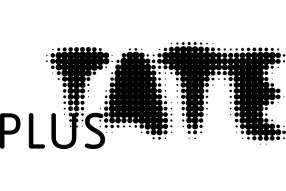 Plus Tate was launched to share collections and expertise and build a network which would use Tate’s resources to strengthen the contemporary visual arts ecology in the UK. 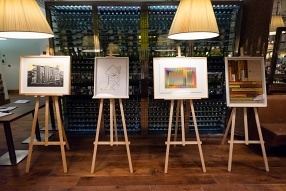 Liverpool Biennial has today launched a series of four new limited edition prints. 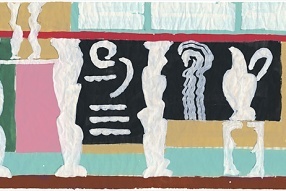 Four of the artists that were shown in Liverpool Biennial 2014 have very generously made new prints for the Biennial to sell to the public. 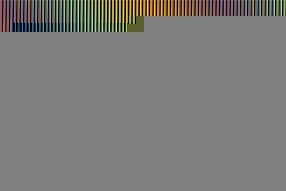 Carlos Cruz-Diez, Judith Hopf, William Leavitt and Peter Wächtler have all created unique new pieces. 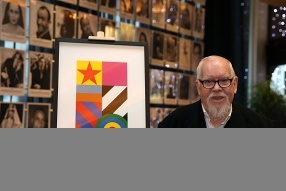 Each edition bears a direct connection to artwork shown at the festival and has been numbered and signed by the artist. 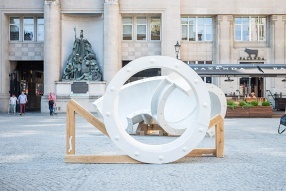 Liverpool Biennial in partnership with Liverpool City Council, Liverpool Vision and Friends of Everton Park have commissioned leading South Korean artist Koo Jeong A to design a new wheels park for Everton Park. 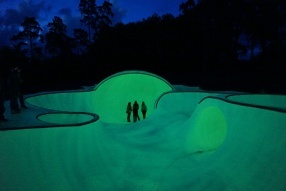 The wheels park will be made with luminous concrete to give it a glowing effect. 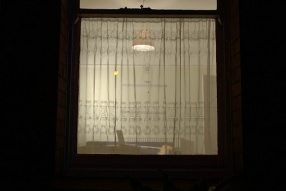 Liverpool Biennial and FACT are delighted to present the first UK screening of Sharon Lockhart's new feature-length film, Rudzienko. 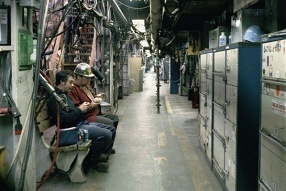 The film will be shown on 17 October at 6.60pm at FACT. 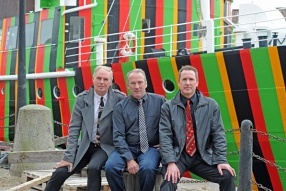 The Museum of Liverpool is to display several unique objects ahead of Orchestral Manoeuvres in the Dark’s two sell-out gigs on 1 and 2 November 2014, tying in to Liverpool Biennial's Dazzle Ship, currently on display in a dry dock at Liverpool's Albert Dock. For one week, from Monday 29 September – Friday 3 October, an invited group of artists, curators, designers, and writers will gather to consider the framework for the Liverpool Biennial in 2016 and 2018. 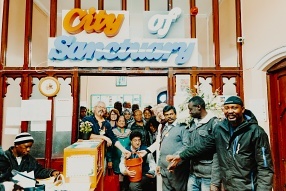 Through workshops, visits and public presentations, this project continues and intensifies a strand of Liverpool Biennial’s programme, which has engaged increasingly with the interrelationships between education, art and the urban environment. 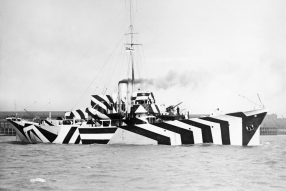 Painters from world famous shipyard and engineering services company Cammell Laird started work on 23 May on Dazzle Ship, a co-commission by Liverpool Biennial, Tate Liverpool and ?14-18 NOW WW1 Centenary Art Commission to work with the idea of “dazzle” camouflage using an historic pilot ship conserved by ?Merseyside Maritime Museum. 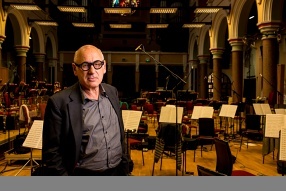 Tickets are now on sale for a new work by internationally acclaimed composer Michael Nyman. 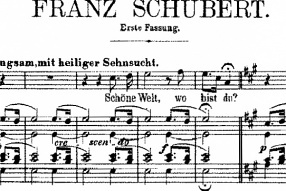 His Symphony No. 11: Hillsborough Memorial is presented by Liverpool Biennial, in partnership with the Royal Liverpool Philharmonic and Liverpool Cathedral. 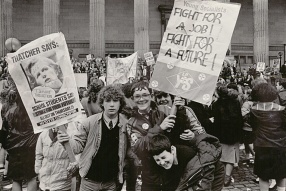 The performance will be part of the opening weekend of Liverpool Biennial 2014. 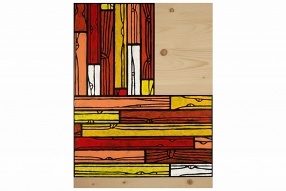 Richard Woods' Big L, the second in a series of limited edition prints from Liverpool Biennial is now available to buy from Elaine Cunningham Interiors. 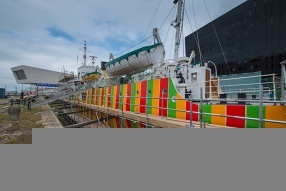 Liverpool Biennial and Tate Liverpool will jointly commission Carlos Cruz-Diez to work with the idea of ‘dazzle’ camouflage in partnership with National Museums Liverpool using an historic pilot ship conserved by Merseyside Maritime Museum.